Over the course of a long life, an individual’s financial affairs can become exceptionally complicated. He or she has likely assembled a portfolio of savings, stocks and bonds, life insurance policies, real estate holdings and other assets. If a savvy money manager, the person has sought out the best credit cards and the best savings accounts, bought and furnished at least one primary home and maybe a vacation property, owns at least one and possibly more cars, has assembled a wardrobe and gathered jewelry and keepsakes. And these are just the possessions with financial, as opposed to sentimental, value. On top of all this are the debts the person may owe, whether they be a mortgage or two, medical debts, credit card debts, personal debts, and business debts. Put it together and you have an estate. In end-of-life matters, along with the estate comes a responsibility to entrust someone to settle that estate and close out the decedent’s affairs, financial and personal. The person named to execute the deceased’s final wishes is called, not surprisingly, the executor. As part of our estate plans, we all are urged to name executors to handle this challenging job. A lot of us will also, at some point or another, be called on to serve as an executor of a loved one’s estate. As one who’s served in that role a couple times, I can attest to the fact it’s not a function to be taken on casually. Depending on the complexity of the estate, and the personalities of survivors likely to inherit property from the decedent, tackling these tasks can require a myriad of traits, talents and insights you probably didn’t know you possessed. You may find the role requires the bulldog tenacity of a gumshoe, the diplomatic skills of an ambassador, the numbers-crunching talents of an accountant and the patience of Job — as well as the time of one with all the free hours in the world. “There’s a multitude of details that must be attended to, ” Hurme said. “There is lots of paperwork. And everybody wants it yesterday. They want the estate settled yesterday, they want the paperwork filled out yesterday. And the more complicated an individual’s affairs, the more details that have to be attended to. And every entity you have to deal with wants different paperwork. Other tasks likely to be involved include locating the will, filing the will in the county where the death occurred, finding safe deposit boxes and keys, securing and taking an inventory of the residence, listing the contents of the home and all the assets the decedent owned, providing the attorney with the names of all beneficiaries and following the will’s instructions to distribute the estate. In many cases, the executor also must arrange to have a newspaper publish notice once weekly for three weeks that the decedent has passed so unknown creditors can file claims, which they are required to do within six months. The first two to three months as executor are very hectic and busy, but the work eventually gets a bit easier. Most estates can be closed in nine to ten months. Having noted all these responsibilities, you’re probably wondering if there’s any upside to being an executor. In fact, there are rewards to the role. 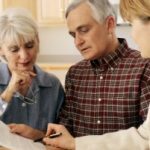 By law, executors are permitted to take a reasonable fee for administering the estate. Attorneys tell me it’s typical for children of the deceased to decline the fee. But if beneficiaries get nasty and matters are contested, some executors do end up accepting a fee based on all the trouble they’ve had to endure. The greatest rewards are intangible. Many people derive a sense of gratification from having successfully carried out the wishes of a loved one and administered the estate the way he or she wished it to be administered. Finally, at some point in their administration of the estate, most executors come to grips with the realization that someday, someone will have to administer their estates, and play, on their behalf, the gumshoe-ambassador-accountant role while at the same time displaying the patience of Job and playing the role of someone with the free time of the world’s least busy, most carefree individual. That can be all the inducement needed to ensure they do a bang-up job getting their own financial houses in order. My mom had to go to assisted living, so much of this was taken care of at that time. My brother was designated executor of her estate (when she dies), but all the kids helped with getting her affairs in order. In a way that was fortunate. Everything is simplified by spreading the tasks out over time. Mom is happy and we’re glad it’s been this easy. She did a great job of having everything set up well.